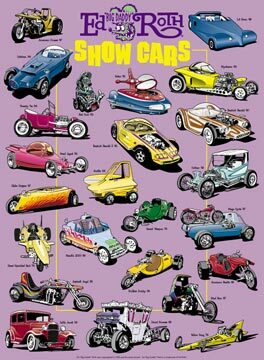 This is Ed “Big Daddy” Roth’s Show Car Poster. This project took about ten months to complete. This body of work has been both the most challenging and the most exciting that I have done. Big Daddy wanted his cars to be drawn in black line art style. He gave me line thickness suggestions on the first illustration. Afterwards I used that same formula on every car after that. 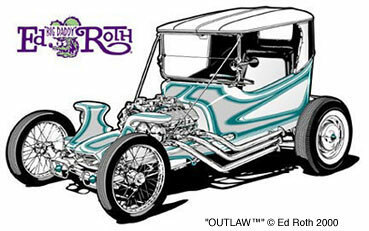 Color and graphics were added later. 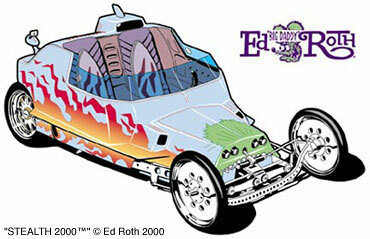 The Stealth 2000 (1999) is Big Daddy’s latest creation, it was also the first illustration that I did in the series. Special colors and graphics also created illustration challenges. The Outlaw (1959), shown here, is just one of many examples. 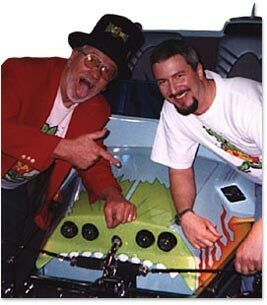 I had the honor of meeting and spending time with Big Daddy while he was on tour showing The Stealth 2000. Big Daddy’s creativity has inspired not only myself but generations. 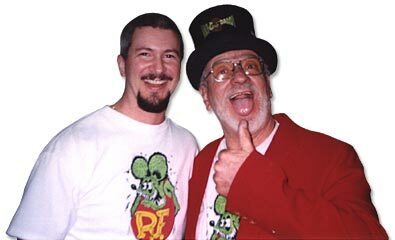 To keep up with the latest on Big Daddy and Rat Fink, check out the sites below.